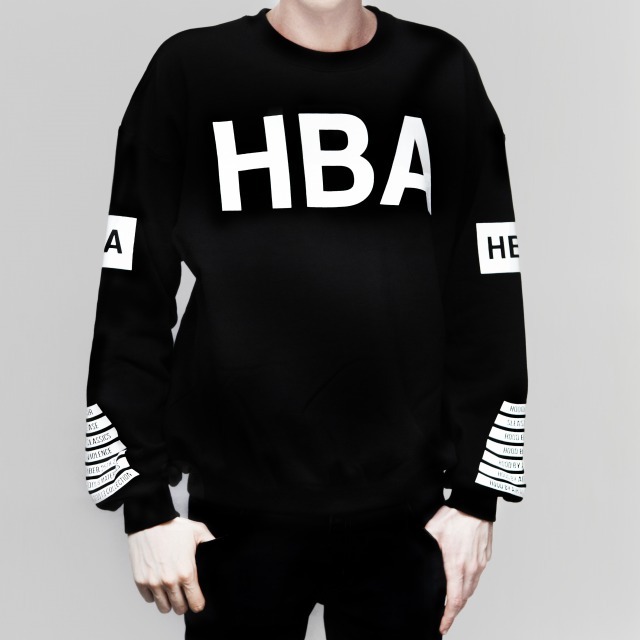 Hood By Air or HBA for short is a New York City Based Street-Wear Brand that is Big on slapping their HBA inititals and Hood By Air name on many of their pieces. In 2014, wearing a Nice large block lettered HBA shirt, moon boot or pants is a lot like wearing a classic logo’d DKNY sweatshirt back in 1994. 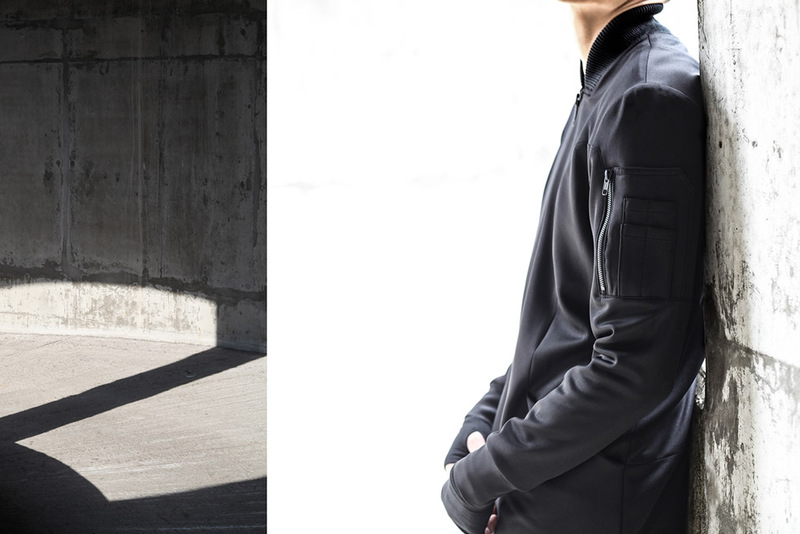 Let’s take a look-see at the Spring 2015 Men’s and Women’s Hood By Air Collection. 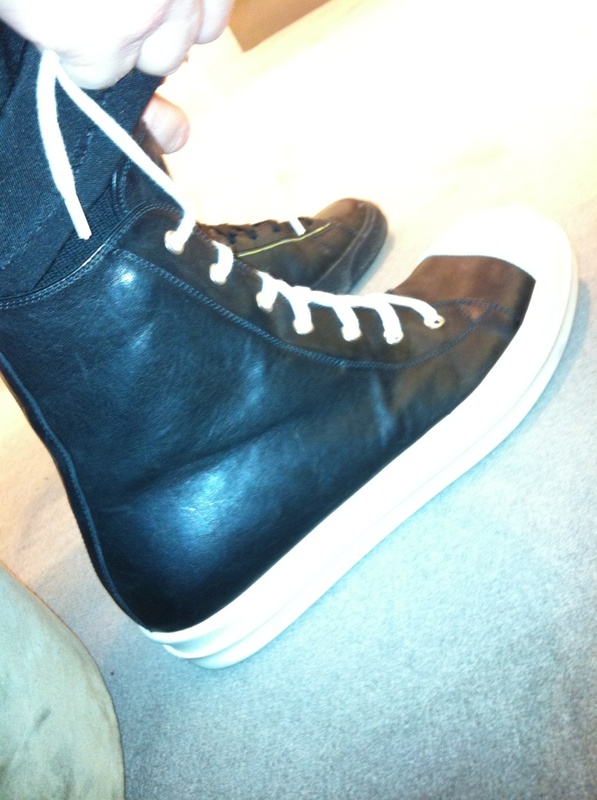 Grey Hi-Top Kicks: These are worn throughout the show. Untied, Tied, pants tucked and untucked. From the Runway show these look like a winner. Subtle grey, yet a bit oversized and just enough embellishment to pop. Military Jacket: The model with the crutches rocks an extremely nice military style jacket in a perfectly layered look. 1990’s High School Chic: I really dig the style on the female model that has the slouchy black long sleeve shirt with the ripped, worn and torn white jeans. 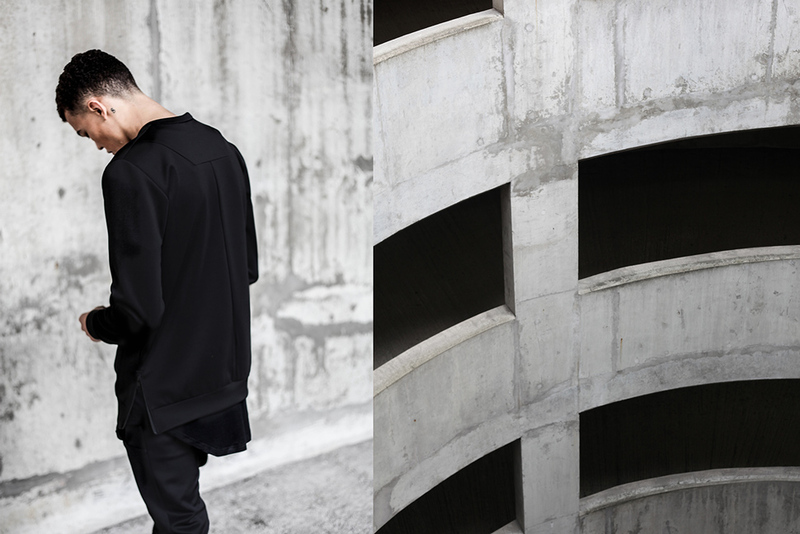 The two pieces are quite different, yet work very nicely together. Accessories: Check out the dog/human collars on the models. Slightly creepy, yet adds a 3rd or 4th dimension to the show. But don’t think too far into it, then it’s not as fun! And check out the locks and chains. I saw Madonna Rockin’ the Moschino brand lock and chain the other day and I tried it out about six weeks ago. It’s a fun trend, but man oh man, the chains can get heavy come 2:00 a.m. See picture below of Madonna and her Moschino necklace as seen on Jeremy Scott’s Instagram. And me in my silver and gold custom-made necklaces worn with a Streetzblog x Romeo Valentine How to Make it in New York collab shirt from a few years ago. Added Flavor: When the crowd disperses at the end of the show, did you notice the HBA logo’s on many of the attendees. 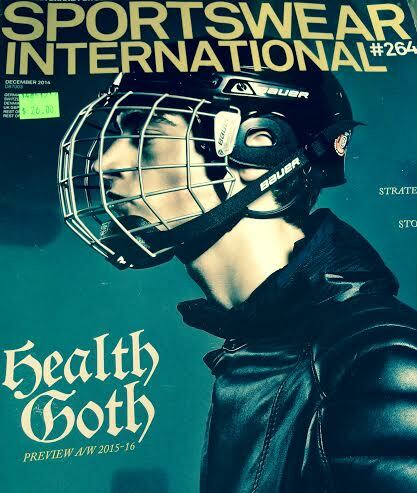 A nice touch, yet an expected flavor from a brand that knows how to get their Hood By Air out. Tan/Khaki Kicks: Ugh, the ultimate worst color for sneakers ever. 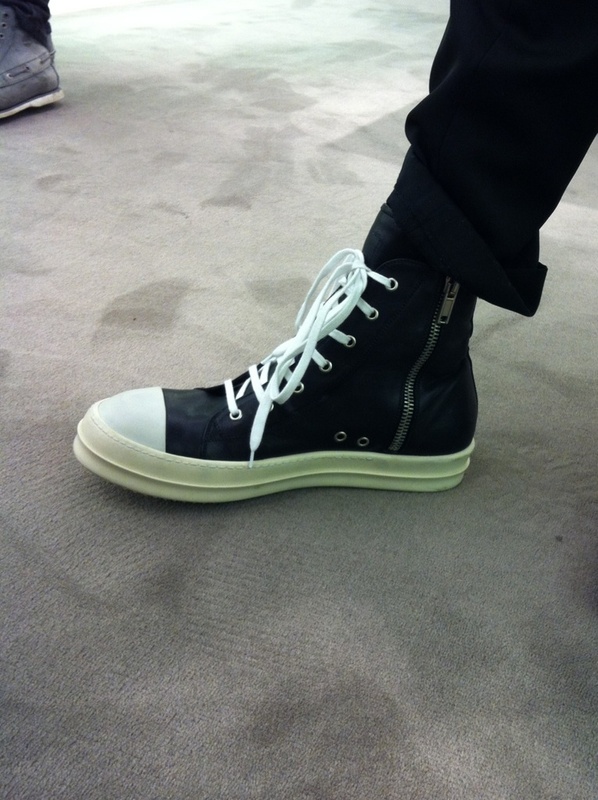 Might be ok for a desert boot, but not cool for sneakers. I wouldn’t even want a free pair of the Khaki Yeezy’s. Just not a good color for kicks. The Music: A bit too slow for this show. And slightly eerie and creepy, which is ok, I just would have wanted it to be more up-beat. Try and watch the same runway show with one of these 3 tunes, see and feel the vibe change instantly and completely. The clothes even become more vibrant, powerful and splendid to wear! Music courtesy: Aesthetic Perfection-The New Black, Krystal System-I love my Chains and Youth Code-What is the Answer. See you on the streetz of the Hawaii Fashion Month. Hopefully, if I finish work on time, I’ll be at the grand opening of the new Jimmy Choo in Waikiki on Thursday evening. 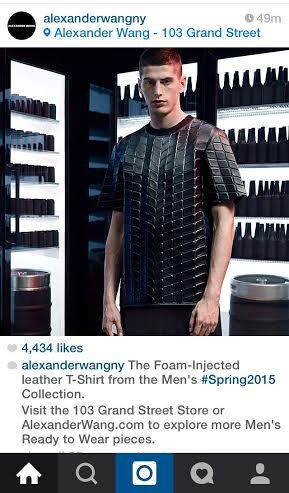 And of course, I’ll be at the Alexander Wang x H&M launch either on-line, in-store or both. Have a nice Weekend.